William Harvey medal, metal, c 1823. Pictured here is an example of a William Harvey medal from 1823. The inscription reads, "William Harvey, born in Kent 1578, died in London 1657, Numismatic Series of Illustrious Lives". This medal was sold as part of a series to commemorate the life of the English physician, William Harvey. Harvey is most well-known for his description of the systemic circulation of the human body, which was the first accurate description of this system in history. 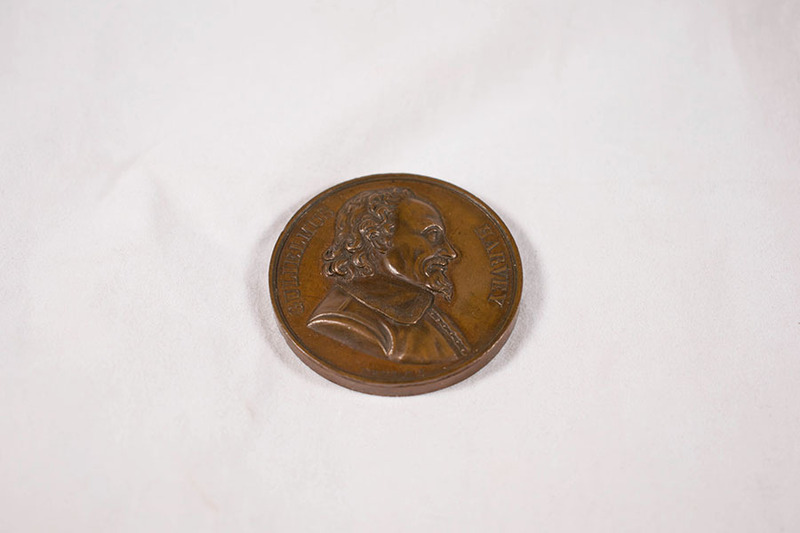 Durand, France, “William Harvey Medal,” Heritage, accessed April 23, 2019, https://heritage.rcpsg.ac.uk/items/show/147. Description: William Harvey medal, metal, c 1823. Pictured here is an example of a William Harvey medal from 1823. The inscription reads, "William Harvey, born in Kent 1578, died in London 1657, Numismatic Series of Illustrious Lives". 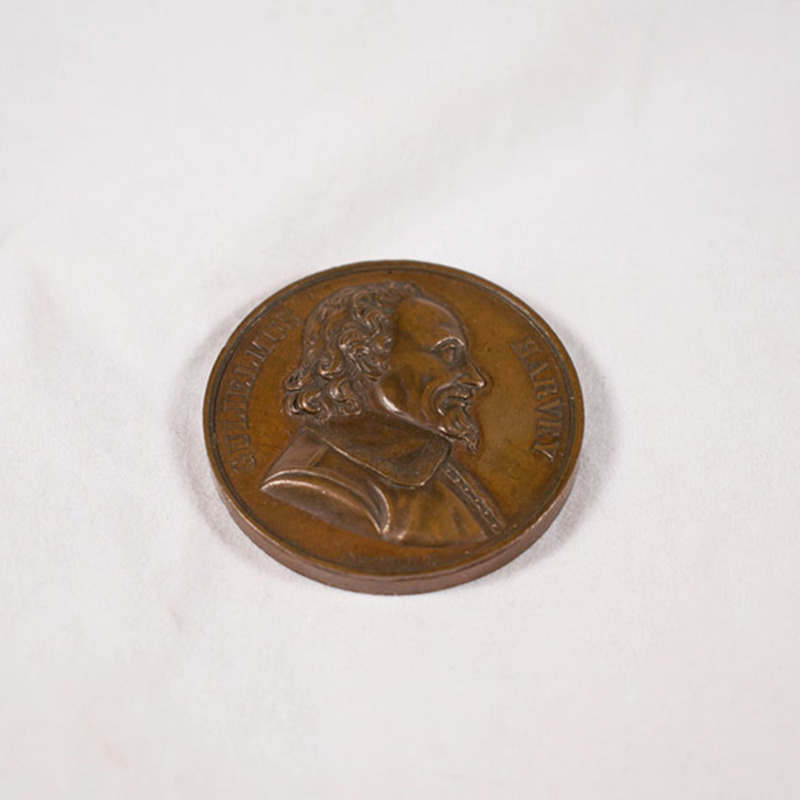 This medal was sold as part of a series to commemorate the life of the English physician, William Harvey. Harvey is most well-known for his description of the systemic circulation of the human body, which was the first accurate description of this system in history.